Join us for another amazing Fourth Street event as participating merchants offer sales of 40-60% off! Margaret O'Leary (1832 Fourth Street) and their countless racks of clothing that will be 75% off! Their sale starts at 10AM! Rabat (1825 Fourth Street) is offering clothing from their SF store and shoes for up to 75% off PLUS handbags and wallets and new fall items 20% off! 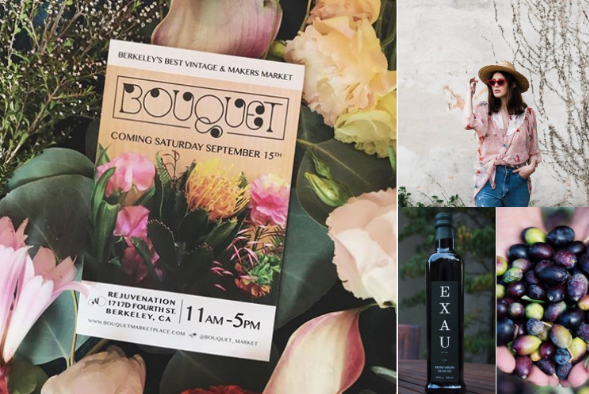 Also on this day Fourth Street is hosting Bouquet Market in the parking lot nearest Rejuvenation! THE GARDENER ~ Celebrating 34 years on Fourth Street!